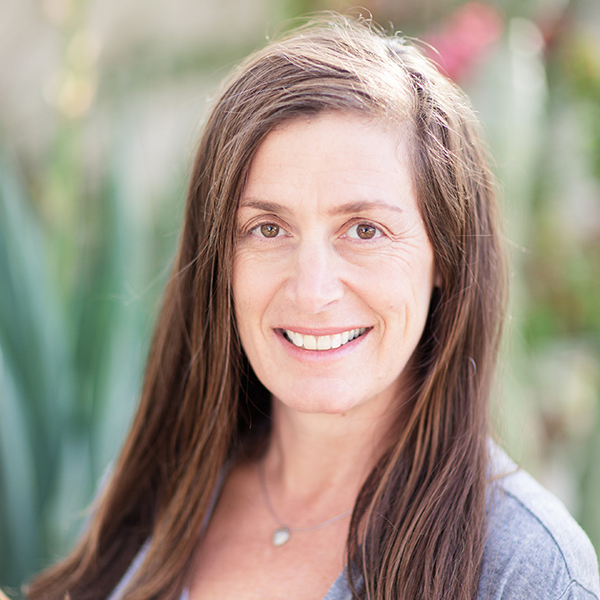 Leah Gerber is a Professor of Conservation Science in the School of Life Sciences and Founding Director of the Center for Biodiversity Outcomes at Arizona State University. She is also a Senior Sustainability Scientist in the Julie Ann Wrigley Global Institute of Sustainability, a Fellow in the Institute for the Future of Innovation in Society, an Honors Faculty in the Barrett Honors College, and an Affiliate Faculty in Applied Mathematics. By training, Gerber a population ecologist and marine conservation biologist. She is motivated by a desire to understand the determinants of conservation outcomes. She applies understanding of coupled human-natural systems in achieving sustainable biodiversity outcomes. Gerber’s empirically-based research programs spans many dimensions of natural and social sciences, with the goal to inform policies and sustaining the health of the world’s oceans. She is also engaged in employing theories of change for indigenous communities and biodiversity conservation in Latin America. With a grounding in natural history and primary data collection, quantitative methods and an appreciation for the interactions between humans and the environment, Gerber has pioneered new approaches in protected area design, risk assessment, adaptive management and structured decision making. This work includes over 100 publications in high quality journals (e.g., Science, Nature, PNAS, American Scientist and Ecology Letters). Gerber has garnered a broad base of research funding to support this work, including a National Science Foundation (NSF)-Career Award and an award from the Pew Charitable Trusts. As an Aldo Leopold Leadership Fellow, Gerber is passionately committed to communicating the relevance of science in tackling the complex environmental challenges of the 21st century. The impact of her work extends beyond scientific impact factors – she is most proud of her work that has been used in policy decisions and has stimulated public discourse in popular media. In 2014, Gerber established ASU’s Center for Biodiversity Outcomes, a boundary organization to enable discoveries and solutions needed to conserve and sustainably manage the Earth’s biodiversity in a time of rapid biophysical, institutional, and cultural change. In leading the center, she has built capacity in academic excellence and established new models for academic engagement in achieving societal outcomes. Because this leadership experiment is pushing the frontier of the unknown, Gerber is pioneering new models of engagement as part of an NSF Science of Science and Innovation Policy grant. Gerber, L. R. 2011. What is conservation biology?. Nature Education Knowledge 1(10):14. Gerber, L. R. and M. Gonzalez-Suarez. 2011. Population viability analysis: Origins and contributions. Nature Education Knowledge 1(11):15.
del Mar Mancha-Cisneros, M. and L. R. Gerber. 2015. Guiding principles for green economic development in the marine environment: Insights from small-scale fisheries and marine protected areas. Pp. Chapter 8 In: Gasparatos, A. and K. J. Willis eds., Biodiversity in the Green Economy. Routledge. ISBN: 9780415723329. Gerber, L. R., T. G. Crawford and B. S. Halpern. 2012. Marine reserves and ecosystem-based management. Pp. 397-403 In: Hastings, A. and L. J. Gross eds., Encyclopedia of Theoretical Ecology. University of California Press. Berkeley and Los Angeles, CA. ISBN: 978-0520269651. Hernandez-Camacho, C. J. and L. R. Gerber. 2012. Sea lions. World Book Encyclopedia. World Book. Gerber, L. R. 2004. Steller sea lions (Eumetopias jubatus) in the Pacific Rim: Biological uncertainty and extinction risk. Pp. 482-490 In: Akcakaya, H. R., M. A. Burgman, O. Kindvall, C. C. Wood, J. S. Hatfield and M. A. McCarthy eds., Species Conservation and Management: Case Studies. Oxford University Press. ISBN: 978-0195166460.
and the School of Life Sciences.